Catalogue > Cities: maps and sights of cities and villages > 7. South Holland > NIEUWLAND. 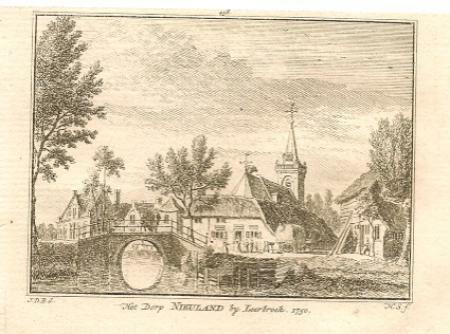 "Het Dorp NIEULAND by Leerbroek. 1750." Hoogte: 7,5 cm. Breedte: 9 cm.